JoVell is a twenty-year veteran of the hospitality and event management industry in Atlanta, Georgia. 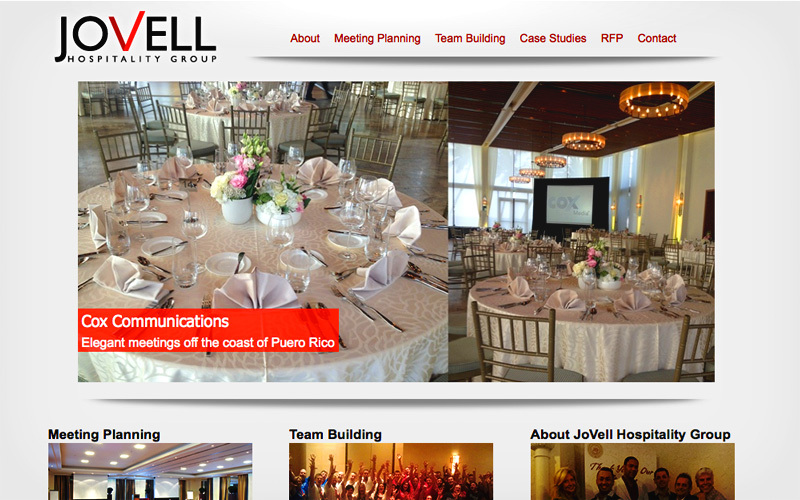 In 2013, JoVell expanded and needed a new website to reflect their growth. Unfortunately, the company staff were so busy with booming business they did not have time to complete the content development for their site to reflect their expansion. They turned to Eyedart for assistance. Eyedart researched, developed, and edited the necessary content for the new website. With Eyedart’s help, JoVell was able to successfully launch the new site in January 2014.